Streamlined horizontal grooves provide excellent dispersions and grip ability on wet road as well as high-speed stability. Tire shoulder strip ensures uniformed wear, supports tire shoulders high-speed cornering while maintaining stability. 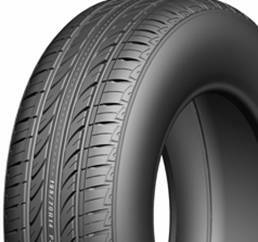 Pitched groove design reduces resonance noise of tires effectively.